13 things your counselor should know. What are the 13 Core Competencies of a Clinical Counselor? Professional Clinical Counselors study and are expected to know these 13 important “Core Competency” areas. Quality counseling should include a lot more than giving you a diagnosis, prescribing or referring you for medications and then listening to you talk. As important as listening is for any health care professional, the meat of counseling contains a lot more substance than diagnosis and listening. Here are the 13 areas a professional clinical counselor needs to know to help their clients. It helps to know this stuff if you ever expect to pass your licensing exam. 1. Counseling and psychotherapeutic theories and techniques. Theories are about what we think causes those things we call mental, emotional and behavioral problems. Sometimes we professionals get trapped into thinking all we are treating are diseases and disorders and we lose sight of the person with the disease. If you and your partner can’t get along that is a relational issue. To treat this we do not need to give you a diagnosis of a mental illness. Could someone with a serious and persistent mental illness have a relationship issue? Sure they can. The theory maps out the terrain you will cover in counseling. As any hiker in the woods knows, around the next bend in the trail, there could be a patch of flowers or there could be a hungry bear. Those two situations call for different actions. That is where the therapeutic techniques come in. We may use one tool for someone who is having difficulty making decisions because they have no clear goals and a different set of techniques if their indecision is the result of abuse and being told they would never be any good. 2. Human growth and development across the lifespan. There are common, almost predictable, events at certain times in our lives that have a high propensity to get us off track. Knowing what might happen to a client at a specific age and why can help a counselor and the client in taking this journey we call therapy. Teens and early twenties have a high risk of suicidal thoughts, so do elderly men. For teens the risk may have to do with school, launching a career or a failed relationship. His risk may also be increased by drugs and alcohol. Being the victim of bullying increases these risks. Senior have a high risk also, especially elderly men who live alone. The challenge at that point is coping with the loss of the things that used to give life meaning, their partner, their job, their health. Being alone, having to give up things they used to love are risks here. A good counselor adapts their treatment to the life stage of the client. 3. Counselors know about career development theories and techniques. 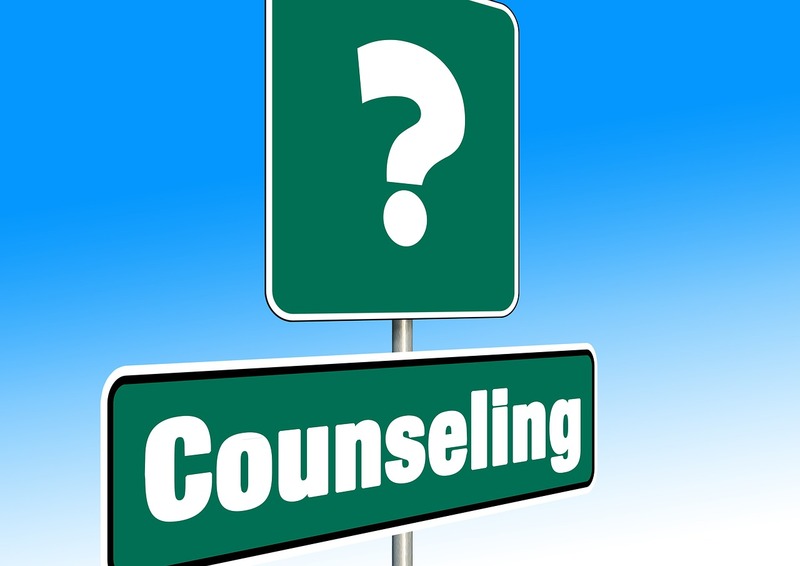 Professional Counselors are specifically trained in Career counseling. Your Therapist may listen to how sad your lack of a job makes you, they may give you encouragement and tell you to just go out there and keep trying. The Professional counselor can help you explore the world of work, find a direction that is right for you and gets you started on a lifetime career journey. They can also really help displaced workers find something new to do with their work lives. Nothing so improves a client’s mood as having a job they enjoy and that pays reasonably well. Having a relationship can improve your mood, but having a job can reduce a lot of the stress and fights that are a part of so many relationships these days. 4. Group counseling theories and techniques. Group counseling is not second-class services. I know there are still a bunch of therapists who don’t like doing group. Many are flat afraid of it. But hearing from other people who have problems and how they are overcoming them, that can be very powerful. Group has been the standard treatment for Substance abuse since the beginning. We are seeing some wonderful things happening in mental health groups these days. 5. Assessment, appraisal, and testing of individuals. Several other mental health professions specifically do not engage in testing. Professional clinical counselors do testing for their clients and can help you make sense of these results. Yes, there are limitations on the amount of testing they do, sometimes they need to refer clients out to a clinical psychologist, but LPCC’s can do a whole lot more testing that their “sister” mental health professions. 6. Multicultural counseling theories and techniques. Culture includes a lot more things than just race and ethnicity. Military families and their dependents have a culture that needs to be recognized and treated in special ways. Clients who come from backgrounds of poverty, regardless of their race have different cultural experiences. Recent immigrants and their children have a whole set of problems that make their emotional problems more difficult. African-Americans may or may not have come from poverty but their experience has been different. Many find it difficult to define who and what they are. One African-American described this to me as a form of cultural amnesia. I know where my ancestors came from, more or less, but most African-Americans, their cultural memories dead-end at slavery. So what part of their culture do they keep and what do they reform? There is some theoretical justification for trying to match the counselor and the client. Women who have been abused may prefer a female counselor. Men may prefer a male counselor unless the female one is really good-looking. Most counselors are women. Matching the counselor and the client is not always possible. Hence the whole need for training in multicultural counseling. Next time part two of this list. This entry was posted in Counseling and Therapy and tagged CALPCC, Counseling, Licensed Professional Clinical Counselors, LPCC, mental and emotional health, Mental Health, PCCI, professional counselors, Therapy by David Joel Miller. Bookmark the permalink. Good point. Turns out there are a lot of other things a counselor should know but in classes they get lumped into one of the categories that are listed in the law that specifics what we should know. Suicide and child abuse are important and they get covered under Law and ethics because legally we must break confidentiality to report them and ethically we need to keep our clients safe. This is such an important area it needs more emphasis. I liked your article until I got to this sentence – “Men may prefer a male counselor, unless the female one is really good-looking”. Glad you liked the post. Sorry to hear that the line about a male client being attracted to a female counselor put you off. I meant it to be humorous. In a previous post I talked about the problems of clients falling in love with their therapist and therapists who fall in love with clients. Best that the counseling relationship and love relationships be kept separate. Hope you will continue to read the blog. Course I will. Your blog is so useful. Just a bit fed up of hearing women always being judged on appearance, and its even worse when they are in a professional role where they should be judged on professional skill.